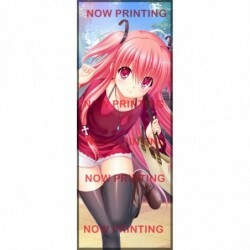 Kakejiku depicting Yui, one of the heroines of the Visual Novel Angel Beats!. Kakejiku depicting Yui, one of the heroines of the Key/VisualArts Visual Novel Angel Beats!. This Kakejiku has a hand signature by its author, Na-Ga.